Social network for Mac users. Is there a better alternative to Macprofile? Is Macprofile really the best app in Social Networking category? Will Macprofile work good on macOS 10.13.4? 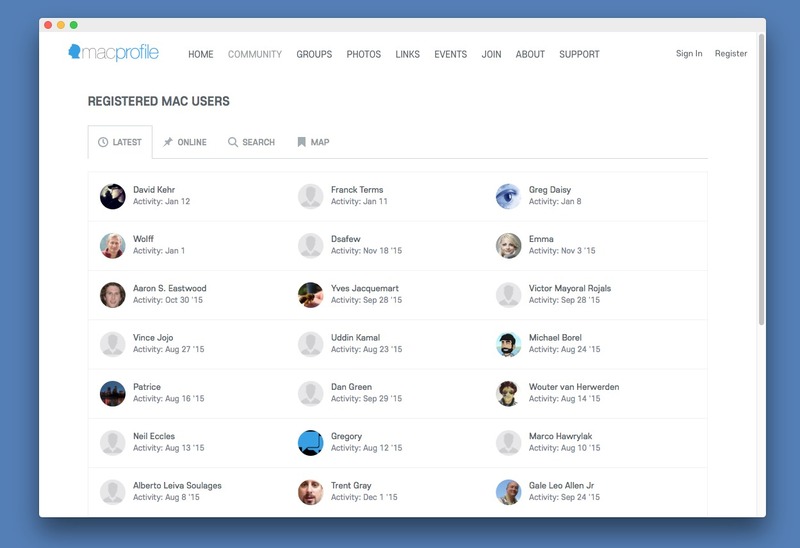 Macprofile is a network of people using Mac computers. Made up of many members, Macprofile consists of Mac enthusiasts from a variety of backgrounds: artists, technicians, programmers, designers, consultants, publishers, accountants--users of a variety of Mac types and software! This diverse gathering provides a unique resource for creativity. In fact, Mac users behind Macprofile have been around far longer than most personal computer organizations, and virtually all computer companies. That means we not only have a vast knowledge of what went on before Apples and Macs, but a desire to keep pushing ahead as well. Macprofile needs a rating. Be the first to rate this app and get the discussion started!